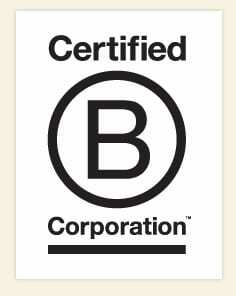 I’m so proud to announce that Orbit officially became a Certified B Corporation! We are only one of 15 companies in the state of Illinois to do so, according to B Lab. Not sure what a Certified B Corp is? Keep reading, I’ll explain. What’s a Certified B Corp? Certified B Corporations make up a community that make it a priority to get involved and provide value in their community, both socially and environmentally. In the business world, being a Certified B Corp is the equivalent of the Fair Trade certification for coffee and other products. We do business with our community, employees, suppliers, and partners in mind. How Did Orbit Become a Certified B Corp? In order to become a Certified B Corp, we had to go through the assessment process and prove that we operate based on high standards of social and environmental performance, accountability, and transparency. With the help of our amazing rep over at B Lab, it took us a couple of months to complete this process, but we did it! There are five major categories that are involved in becoming certified. Here are examples of how we fit into each category. Orbit implements company policies that support the ideals of a Certified B Corp.
Orbit has a flexible working environment and is committed to a work-life balance. Orbit makes business decisions based on the confluence of all stakeholders, employees, vendors, community, and the environment. Our top suppliers are all local companies within the Chicago area. Last year we had an “Orbit Electronic Recycling Project” where everyone brought in their used electronics to be recycled. We used ARCOA recycling to come and pick up an entire truckload of recyclable goodies. Orbit is a virtually a paperless company, and we have recycling at the office. Every year Orbit heads up the Chicago Cause. Chicago Cause is a philanthropic partnership with five other Chicago companies, where we donate over $50,000 in web marketing services. Orbit donates a free website worth over $20,000. Over the holidays, we held a food drive for the Chicago Food Depository. Last year we had a coat drive for Zealous Good, where we all brought in extra coats for people in need. We organized a 5K run to raise money for the American Red Cross + Chicago Food Depository. Almost every Orbit employee was part of the run. Why Did Orbit Become a Certified B Corp? Without Chicago, there would be no Orbit. We love this city and are proud to be able to give back. We’re honored to be part of the B Corp community along with MightyBites, Compass(X) Strategy, The Road Less Traveled, Pivotal Production, Story Studio, and many more. We hope to inspire others to become part of this extraordinary movement. What’s the Difference Between a Certified B Corp and a Benefit Corporation? B Corp: A shorter name for a Benefit Corporation as well as a Certified B Corp. They are used interchangeably whether they were meant to or not. Benefit Corporation: There is a piece of legislation that states that a company can file as a benefit corporation instead of say an LLC or an S-Corp. You operate your company in the same manner that you have in the past, except with “higher standards of corporate purpose, accountability, and transparency.” Benefit Corporations do not have to be a Certified B Corp and vice versa. It’s basically a simpler version of a Certified B Corp. Side note: Illinois just passed this piece of legislation on January 2, 2013. Certified B Corp: A Certified B Corp has to go through an assessment process that includes 5 areas: Governance, Employees, Suppliers, Environment, and Communities. The certification acknowledges that your company has met a high standard of overall social and environmental performance. A Certified B Corp does not have to file as a Benefit Corporation. B Lab: B Lab is the nonprofit organization that works with your company to complete the assessment process. I must say, they are the kindest, most helpful people with whom to work. It was a lengthy and sometimes tedious process, but they stick with you every step of the way. Kudos to you, B Labbers! If you have any questions about becoming a Certified B Corp, leave us a comment below! Fair Trade Websites! Brilliant idea! Congrats! Love it…glad your with http://www.theroadlesstraveled.com its like a big family! @digitalthird Thanks, George! Seriously couldn’t have done it without the good people at BLab. They are on the ball. @timfrick thanks for the motivation and the support! Big congratulations – love the ideas you’ve implemented. I’m a few months out from getting B Corp status for my business. I have my checklist and have devoted a few hours each week to working on it. You guys should be proud! @Lisa Gerber thanks so much, Lisa! It’s definitely a process. Smart to set aside time each week to work on it and it’s rewarding once it’s done! If you need help with anything just let me know! 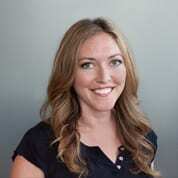 @amandag @Lisa Gerber The B Corp assessment framework has really redefined our approach to business, how we operate, our communications strategy, the work we do, and basically the entire company. The best part is that it provides this awesome blueprint for continuous, iterative improvement that now runs through the whole organization. Couldn’t be happier to be a B Corp and excited to be in such good company! @timfrick @Lisa Gerber Perfectly stated. I couldn’t agree more. We have some areas that we can improve on so I plan to review the assessment quarterly to see how we can get better. @amandag @timfrick I actually do have a question for both of you – did you form an advisory board? @Lisa Gerber @timfrick We didn’t. Not saying that we won’t, but as of now we haven’t. @amandag @Lisa Gerber I am in the process of it with one person lined up and a few other potential candidates. Hope to have things in place by mid-year. @timfrick @Lisa Gerber such a trailblazer, Tim! Love it. I was thinking about becoming a B Corp, but can a non-profit newbie become one…and how do we get on the list to help us with a website wanting to do good with little capital? Hint. @deliriumtoday Nonprofits are not eligible to become B Corps. It is a for profit-only designation. Nonprofits can learn a lot from B Corps, however, and use the framework to become better-run businesses. Profit is a critical part of being a triple bottom line business. Without profit, B Corps can’t accomplish the tasks required to pay attention to people and planet, the other two components of a triple bottom line business. @Sharon Duffy thanks, Sharon! Please feel free to shout Chicago Cause from the rooftops! This is my favorite time of year. Giving away goodness to good people. Searched B corporation information site for you and no can find.